And watercolor is Hard for me! 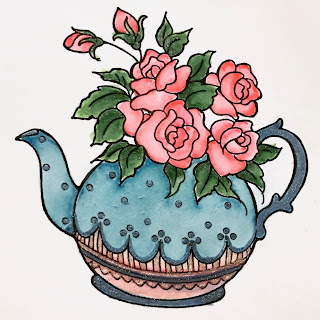 THIS stamp by Stampendous and it's called Teapot Posies, I Water colored it with Zig real color pens. I am happy it reflects the vintage vibe I was going for. 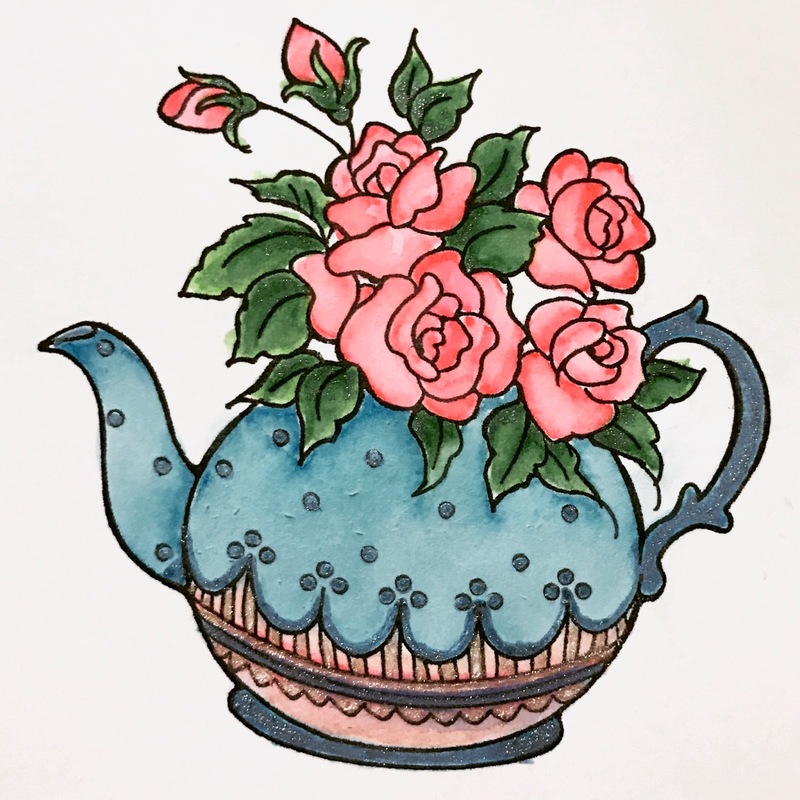 I love this tea pot. I finally have time to comment on your blog. My daughter got a new puppy and have been super busy with baby lol. Another amazing share! Thank you. I love this stamp think I might order it! !